As we already wrote about it in March, a film about Badrock (“Filmen om Badrock”), where Marie Fredriksson and Per Gessle performed as Roxette for the first time, premiered in Swedish cinemas on 7th March. 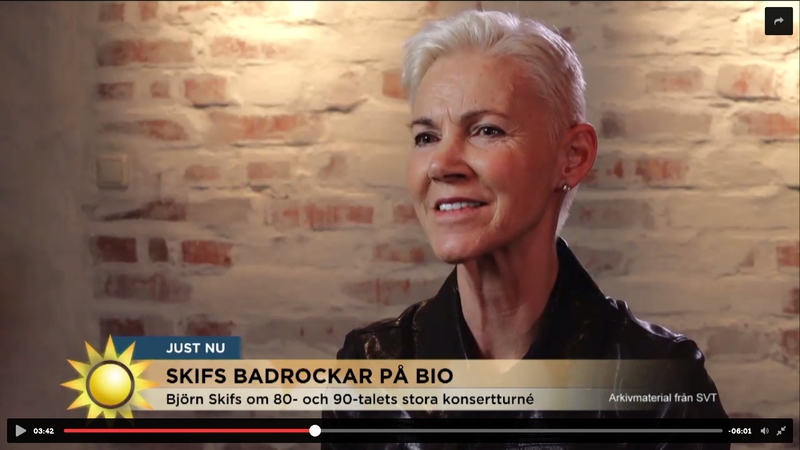 From a March TV4 interview with Björn Skifs (who is behind the whole Badrock idea) it turned out that it would be worth watching by Roxers, because besides Badrock concert material from the ’80s in Borgholm and backstage moments where we can see Marie, Per, Roxette, we even get to see Marie looking back at those times and hear her talking about her experiences. Now the film had its TV broadcast premiere on 3rd June on TV4 (can be watched in Sweden only). Better said, a TV cut of it, because the original movie is 1 hour 55 minutes long, the TV cut is 66 minutes only. So a lot is left out and this way there might be even more Marie and Per and Roxette in it. Let’s hope the movie is out on DVD in the near future and we get to see the whole thing. The TV cut contains footage from the past 30 years (Badrock history: 1986-1992; 2016), on-stage moments, backstage moments, rehearsals, how the concerts were recorded from the air, the royal family’s visits at the shows, as well as interviews with several artists, Marie among them. Interviews are with Björn Skifs, Anne-Lie Rydé, Marie Fredriksson, Pernilla Skifs, Anders Berglund, Nina Söderquist, Tommy Nilson, Leif Larsson, Lena Philipsson, Lisa Nilsson, Sharon Dyall, Marie Bergman, Peter Milefors, Mats Ronander. Marie says Badrock was huge and there were a lot of good artists and the weather was incredibly warm. She says she is happy she could work together with Anders Berglund, it was easy to work with him. 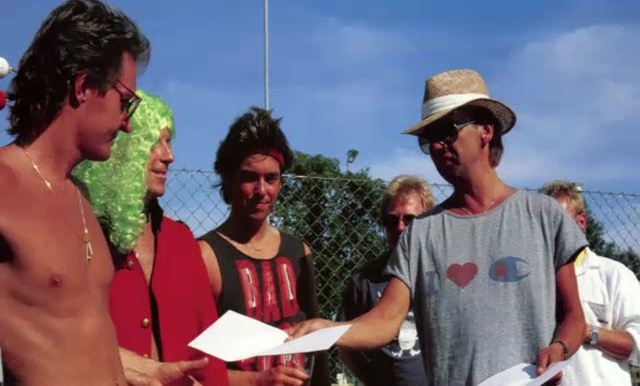 Per in a short 1987 Öland Radio interview says Badrock is fun and playing tennis with Peter Milefors is cool. Mr. G says he and Marie created a group called Roxette and they would first perform at Badrock. 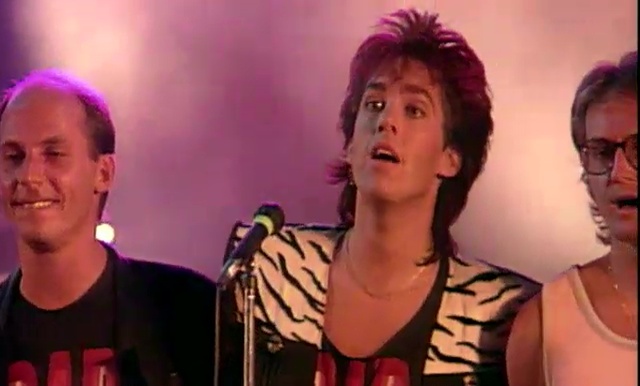 Then there is a Marie interview cut again and she says, ”Like Lovers Do” at the beginning was a big song for Roxette and she was incredibly nervous to perform it. Everything was so new, but it was an awesome experience. Sharon Dyall says when she was singing together with Marie and Sanne Salomonsen, it was real girl power. Marie says they had a powerful song (”Girls”) and she always thought that Sanne sang so damn good and she was wondering how the hell she could join in, but in the end it turned out to be really good and they had so much fun. Those times were really amazing. It’s great to see Borgholm then and today, so beautiful. It will be a pleasure to see Per playing there this summer, but also sad to think about the fact that Roxette AND all the fans missed the chance to have a concert and see Roxette playing there in 2015. Would have been an out of the world experience both for the band and Roxers for sure. 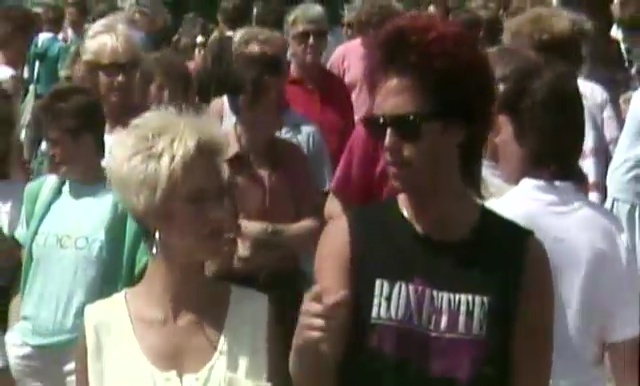 And of course, we still don’t give up hoping for the complete 1989 Roxette gig in Borgholm to be released one day. Thanx for your technical support, Gabriela Demichelli! 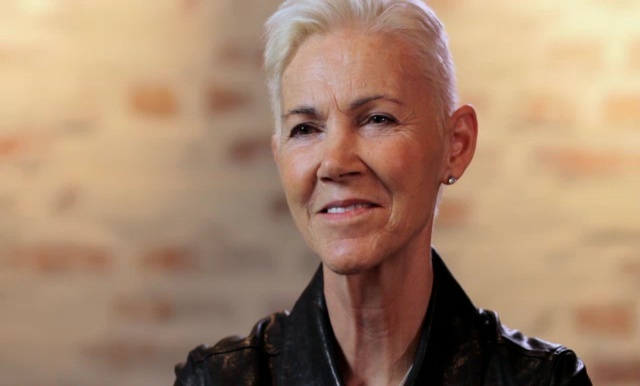 As we could already read it in press releases, a film about Badrock (“Filmen om Badrock”), where Marie Fredriksson and Per Gessle performed as Roxette for the first time, will premiere in Swedish cinemas on 7th March. So far we didn’t know what exactly the film would contain, but this morning TV4 had an interview with Björn Skifs (he is behind the whole Badrock idea) and they showed some parts. 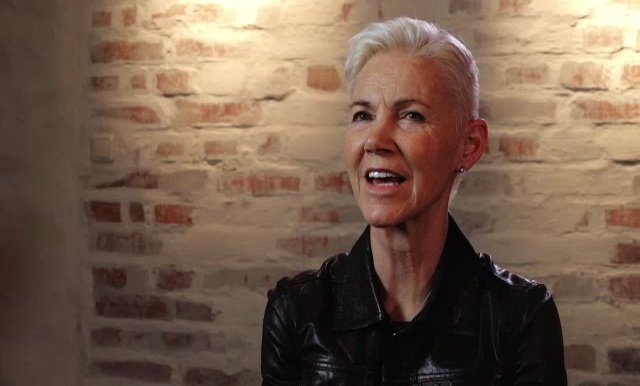 AND… AND… AND… besides Badrock concert material from the ’80s in Borgholm and backstage moments where we can see Marie, Per, Roxette, we get to see Marie looking back at those times and hear her talking about her experiences. How absolutely fantastic is that! 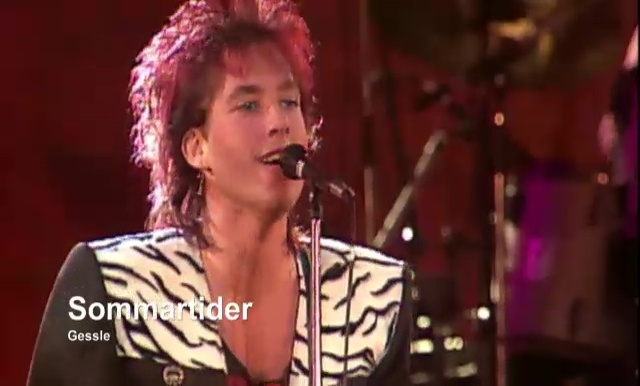 In the TV4 cut you can hear Per on Öland Radio in 1987 saying he and Marie created a group called Roxette and they would first perform at Badrock. Then you see Marie talking, as natural as only she can be, in her stylish black leather jacket. 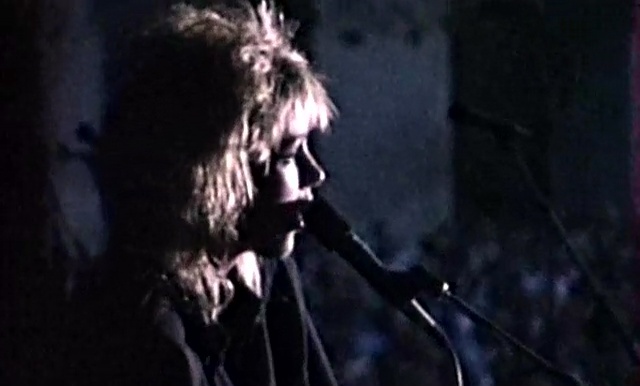 She says, ”Like Lovers Do” at the beginning was a big song for Roxette and she was incredibly nervous to perform it. Everything was so new, but it was an awesome experience. Let’s see if the film is out later on DVD as well or if it will be broadcast on TV. And if it contains much more than what we could see in this short video. Would be cool! Thank you, Carola Lindberg for watching the TV this morning and that you let us know about it!